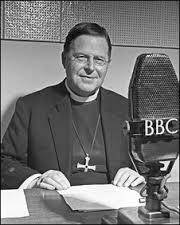 On Monday, I attended a conference in Manchester that explored the legacy of Archbishop William Temple, seventy years after his death. Entitled ‘Reclaiming the Public Space’ the event explored the role of religion in contemporary public life, asking what role can Christianity – and all faiths – play in developing a just society. As a reformer, champion of the poor, pursuer of justice, Christian socialist, inclusive practitioner and visionary architect of the modern welfare state I suspect Temple would be horrified about what has happened to the welfare state (and our understanding of ‘welfare’) in recent years. As the IDYW campaign considers the Early Day Motion about ‘Youth Services’, Temple’s work and legacy offer a timely reminder of what ‘might be’ regarding an approach to contemporary youth work that brings together social concerns and the realities of the modern world. For example, Temple believed in a collective rationale that bought together people of faith, other individuals, wider communities and the secular state. My own PhD identified the principle of the ‘common good’ as a description for contemporary faith-based youth work and perhaps this collective, common good ideal provides a means for youth work to step forward into the future. At times in the past my own stance (often unwittingly) has sometimes pitted, for example, faith-based work against work in the wider voluntary sector; voluntary sector work against that provided by Local authorities and the work of bodies like Connexions against more traditional informal education youth work expressions. Maybe the time has come to set aside such divisions and seek more collective resolutions to the challenges we face. The current challenge is that the common good is now all too often seen through the lens of the market and is consequently at the mercy of the market. Policymakers too readily presume the common good can be found in market approaches to youth work: it can’t. I do not believe the common good can be found in markets alone. Furthermore, I don’t believe the common good can alone be realised by state-provided services, the pursuit of individual rights or the quest of faith-motivated providers like the one I work for. I contend it can only be realised if all these ‘players’ are brought together to collectively discover what ‘might be’. As my own reflections and the conference narrative concluded, we need spaces and places to have dialogue, engage in conversation, bring theory and practice together and refresh our understanding so that, as Prof. Craig Calhoun remarked, we move forward in ways that fully embrace the ideal that ‘we matter to one another’. We need to feel strongly enough about each other to demand a redistribution of wealth, power, equality and justice so that all, including young people, benefit. As someone motivated by faith to do what I do, I aspire to more fully recognise that we do indeed all matter to each other. I consider we become fully human because of our engagements with others. I am biased, but I think re-visiting the work of Temple might prompt us to have more conversations that really matter because we more fully recognise we really do all matter. This will, I believe, support the notion of reclaiming the public space and, in our context, bring about a more positive and collective future for youth work. Next Regulating the Banks : What’s so hard about it? Paul Mason fumes!